If there's anyone who likes things neat, pretty and in their place, it's Martha Stewart. She's built her eponymous empire around her ability to beautify and organize everything from a closet to a perfectly built sandwich to a fabulous Thanksgiving feast. On Monday, the domestic maven unexpectedly encountered a big ol' mess — and her reaction was just so classic Stewart, that it's cracking up the internet. Stewart's morning started out just fine — better than fine, in fact. She showed up to the TODAY Show set bright and early, ready to teach co-host Craig Melvin and viewers all about Thanksgiving turkey safety. Elegant as ever, she wore an army green top, a lightweight puffer vest, gold tone choker and a gorgeous pair of pointed toe heels. She finished her segment, which featured tips about how to keep surfaces and appliances as germ free as possible when prepping a big bird, then went on her way. The day may have started out being all about cleanliness, but things took a turn later that morning. A few hours after her segment, Stewart ordered a private Uber car to pick her up. It was her very first time using the ride service and, unfortunately for Stewart, she was caught off guard by her experience. Her first car didn't show up. Then, another came 10 minutes later, but she had a hard time finding it on the street. But the worst offense for Stewart appears to have been the state of the car. "The car was a mess inside and out!!!!!!!!" she captioned her post of a series of four photos on Instagram. Dirt, dust and dried leave littered the floor of the car, and Stewart wasn't having it. Some of Stewart's fans empathized with her and chimed in with comments like "gross," but even more people seemed to find her experience hilarious. 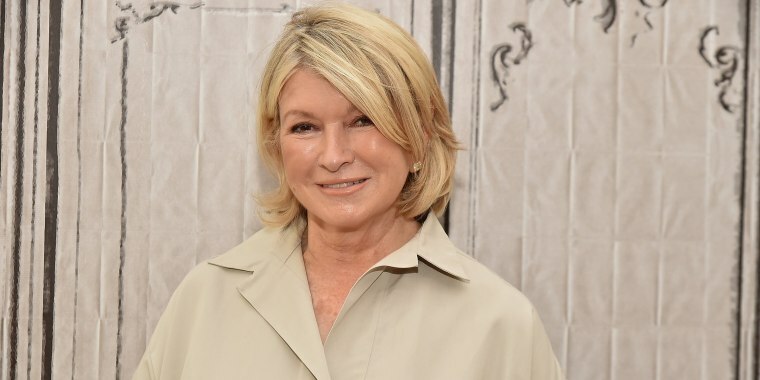 "Look at the Uber Martha Stewart rode in," one person wrote, along with several crying-with-laughter emojis. "This might be my favorite Instagram post ever," wrote another. "OMG real problems Martha," another person wrote. Several people also commented on her pretty pumps. "Those heels though!" one person wrote. "Forget the car, love the shoes!" another chimed in. In the end, one person may have summed things up best by writing, "I think you'll survive, Martha." After all, in the grand scheme of things, if you're wearing fabulous shoes and appeared on the TODAY Show, it's still a pretty great day.